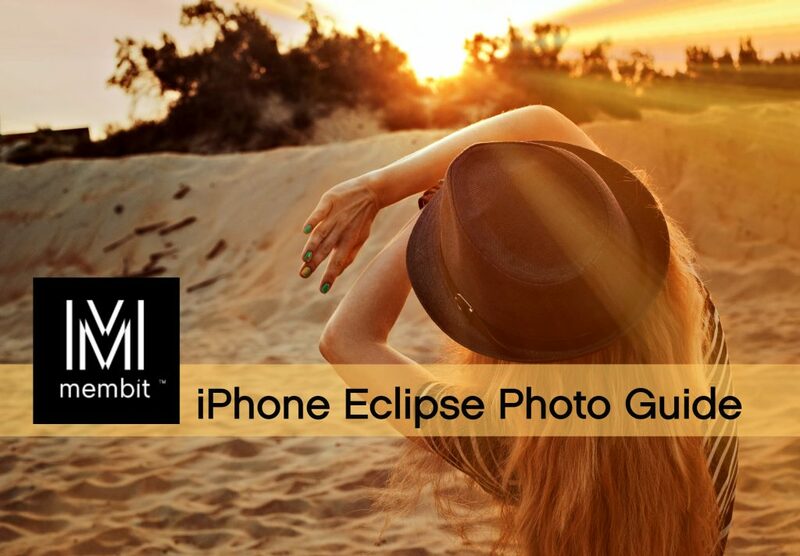 Solar Eclipse iPhone Photography Guide – Membit Inc.
Getting solar eclipse glasses to view the solar eclipse on Monday August 21, 2017 is very difficult because they are in high demand. If you’re one of the lucky ones that has a pair, or going to an event that offers them, you’re set! Did you know that you can use those solar eclipse glasses as a solar filter so that you can safely photograph the solar eclipse? Of course there are some safety tips you need to follow which include never looking directly into the sun. Create a simple pinhole projector that allows you to view the eclipse indirectly. You can take photos of that safely as well. Take pictures of the crowds and the twilight effect of the eclipse. Set up your camera for time-lapse or series of photos of people enjoying the event together. Take photos of an object in the landscape in a series that has light on it to document the phase of the eclipse and the mood of the sun. This would work really well with Membit. If you would like to take photos and save for later to come back to that spot to view the eclipse again, you can use Membit and leave your photos right where they were taken for others to see the eclipse in the future like a time traveler. If you’re using professional gear, and not an iPhone, you can save your eclipse photos to your camera roll, and then place them at their location using Membit to leave a historic photo of the eclipse in the spot it was taken. The app is free, check it out! As always stay safe and do not look directly into the sun! Here’s when to view the eclipse in your city.